I tend to complain a lot about the NATO 2% expectation–that members are supposed to spend 2% of their GDP on defense stuff, which probably makes more more Canadian than anything else I do (I don’t skate or watch hockey much). This is aspirational and countries are supposed to reach it by 2024. I have written much about why this is problematic (it tends to make Greece look good, which is a clue; doing is more important than spending, etc), but today I want to focus on the heart of the matter: 2% is a measure of input and nothing else. Abe Newman and I have a piece in Vox on Trump’s attempt to pressure allies into spending more on defense. You should ignore the title. 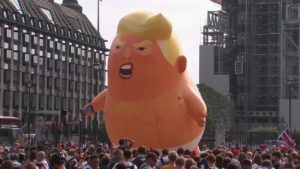 The gist of the argument is that, first, there are upsides to having wealthy and technologically advanced allies dependent on the US for their security needs; second, while it would be great to get NATO allies to spend more on defense, this is a very dangerous way to go about doing it; and, third, the benefits of burden-sharing are likely overblown. Since it went live, I’ve had a few interesting exchanges. One of the claims that we make is that Trump’s calls for burden-sharing are a bit odd. If we want to derive economic benefits from burden-sharing, we need to reallocate defense savings into more productive sectors. Trump’s own plans for military spending suggest he has no intention of doing this. But Raymond Pritchett points out that the alliance has major recapitalization needs—including the SSBN-leg of the nuclear triad—and so some in the Pentagon might hope that burden-sharing allows reallocation. Regardless, please give it a read. If the Trump Doctrine is to put “America First” by focusing on bilateral bargains—understood in terms of short-term winners and losers—then its corollary is the “Good Negotiator Policy.” In the president’s world, bad people make bad deals. The best, smartest people—most notably, Trump himself—always get the best bargains. He is right that personal attributes and interpersonal dynamics can make an important difference in international negotiations. But Trump’s focus on individual skill overlooks the most important factor that shapes political agreements in general and international ones in particular: the relative leverage of the parties involved. The problem is that when the Washington locked in most of its bargains and arrangements, America was much more powerful, in relative terms, than it is now. It takes a rather naïve negotiator to attempt to overhaul relatively favorable deals from a position of comparative weakness. The United States will not get better bargains than it achieved when it controlled more than twice as much of global power as it currently holds. If Trump abandons long-standing practices of American-led liberal order for bilateral, transactional, and zero-sum relations, other states have little reason to prefer dealing with Washington to China, Russia, or any other country. When it comes to stiffing contractors, he’s shown a very good understanding of how power asymmetries shape bargaining outcomes. But, overall, Trump’s rhetoric is in keeping with a man who was born on third base and thinks staying there is a testament to his mad business skillz. Anyway, go read the whole thing, if you’re so inclined. You may need to register to get access. ‘I want to ride around Moscow with an American flag in my car. If I find one. Join me! They have earned it‘. If you were wondering who else was celebrating Trump’s win, it was the Editor-in-Chief of Russia Today Margarita Simonyan. Overnight, a deep-seated Russian Anti-Americanism and disbelief in American democracy was turned into almost unending love, although Russian Prime-Minister Medvedev still finds the name ‘Americano’ too unpatriotic for coffee and proposed to rename it into ‘Rusiano’. 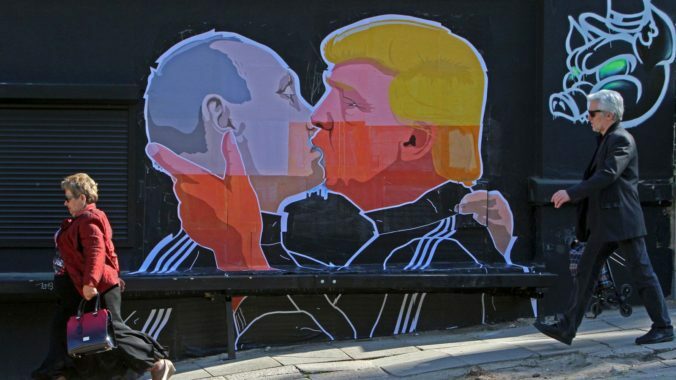 The US election results came as a big surprise in Russia as well. According to many sources, most Russian TV talk shows had already prepared panels of ‘experts’ that were supposed to prove how democracy in the US is dead, how the elections were rigged, how American mass media were unfair to Donald Trump and how Clinton cash bought everything. Sound familiar? Tomorrow, the NATO summit in Warsaw starts. What do we expect, other than jet-lagged Steve being more incoherent than usual? This week is another NATO ministerial. What is that? Here’s a handy guide to the basics and why NATO is run like an academic conference. I was on twitter talking with some folks about what Canada might promise at the Warsaw Summit, with the focus on who is going to provide the troops for the four battalions that will be based in the Baltics and Poland. The conversation went into a bunch of directions, so I had an epiphany while shopping–it is not about proximity or folks who have ties to the Baltics–it is about whose corpses would have the greatest international political relevance. Russia is currently riding high on the geostrategic landscape, despite a trove of domestic economic woes that stem partly from Western sanctions. But Vladimir Putin has successfully wagged the dog and distracted Russians from this by illegally annexing Crimea by force, occupying eastern Ukraine with a proxy force upheld by Russia, and successfully keeping the Assad regime in force in Syria with a surprise intervention that has not only sent cruise missiles through an airspace with U.S. aircraft in it, but also wiped out the efforts on behalf of the anti-regime rebel forces by Western intelligence services on the ground. Russia continues to be undeterred in its use of force, which was reinforced last week by a Russian fighter plane buzzing a U.S. reconnaissance aircraft within 50 feet and multiple Russian fighters buzzing a U.S. destroyer ship within 30 feet, both in the Baltic Sea. Russia is in fact so sufficiently undeterred at present that the Baltic members of NATO are once again in fear of direct Russian intervention. All of this comes as NATO members are getting prepared to hold a crucial summit in Warsaw—perhaps the most pivotal Alliance summit since the end of the Cold War. Its number one task is straight forward: restoring conventional deterrence in Europe. 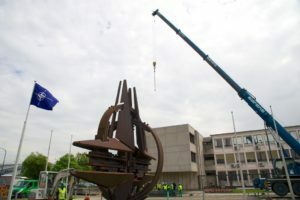 NATO’s previous summit in Wales was supposed to accomplish this task, but it fell short in its attempt at providing sufficient reassurance to the East Central European members of the Alliance. NATO suspended its relationship with Russia, warned it, and through a series of small-scale maneuvers and exercises sought not only to reassure threatened members but also restore conventional deterrence with regard to Russian threats. It failed. This became clear even before NATO officials had departed from Wales, as Russian intelligence operatives kidnapped an Estonian intelligence operative in a successful attempt by Russia to thumb its nose at NATO. Syria’s civil-proxy war is on the cusp of turning into an all-out regional war, with negative repercussions for all involved in the conflict. 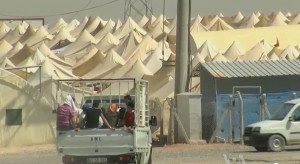 The humanitarian disaster is at its most acute to date, with Russian forces systematically attacking the Syrian opposition and on the verge of a rout of Aleppo—and now Turkish ground forces engaging Kurdish forces across its border. With the U.S.-Russian ceasefire accord appearing unlikely to alter much on the ground, the time has come for the U.S., Europe, and the Saudi-led Gulf countries to make a decisive move to take the initiative back from Russia, contain Turkey, and stabilize the conflict. Anti-ISIS efforts in northeastern Syria and Iraq aside, the pressure point at present is in northwestern Syria. Conventional wisdom suggests that there are no good options for the allies: 1) Attempting to implement the loophole-ridden ceasefire accord, 2) allowing Russia to continue bombing “terrorist groups” i.e. the opposition forces, or 3) taking more direct military action directly against the Syrian military, for which there is zero appetite in the U.S. and Europe. Nonetheless, putting a safe/no fly zone option back on the table would not only meet the joint interests of Western and Gulf allies, but also prove viable on the ground. Not only has Turkey called for this, but so have Germany and France–not to mention Hillary Clinton. While Turkey will be critical for getting to an eventual endgame in Syria, at this crucial juncture this key western ally needs to be contained itself. Turkey has been shelling Kurdish YPG militia forces for the last week, and now that one of its operatives is being blamed for the successful attack in Ankara, Turkey is on the verge of a highly destabilizing escalation. Turkey legitimately needs the U.S. to press the YPG to back off, and Turkey itself has called for the establishment of a Safe Zone. The U.S. and its western allies need to act fast, also to ensure that the YPG does not “defect” and transfer its allegiance to Russia—which would be another coup for Russia. 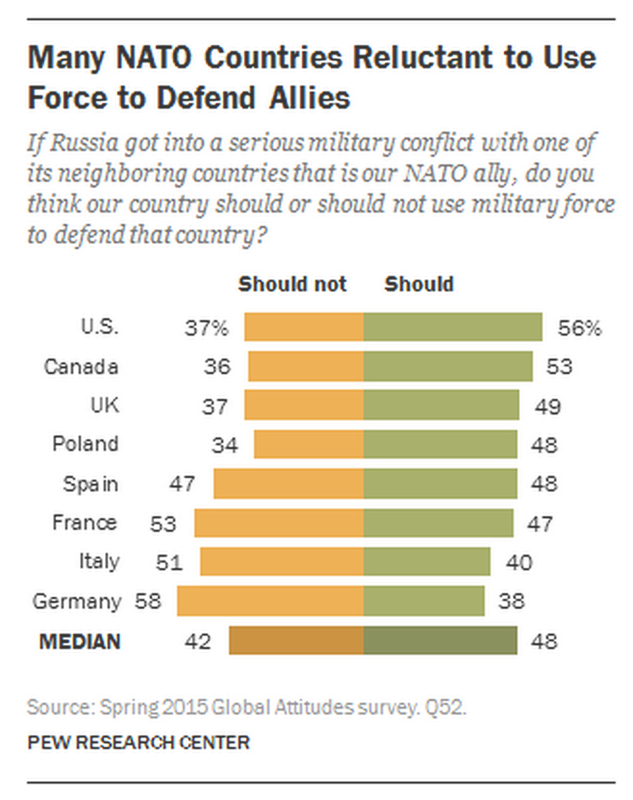 Are Germans Against Upholding NATO’s Article V Commitments? That certainly sounds distressing. Is it true? Unfortunately, we can’t tell. Because that’s not the question Pew asked. This piece raises the question I have been asking for the past week in Brussels: can we credibly commit to the defense of the Baltics? Without a permanent NATO (or at least American) presence, is our Article V commitment (an attack upon one is an attack upon all) believable? Russia may have agreed to a ceasefire with Ukraine the week before last, but in addition to regular violations of it by both Russian forces and pro-Russian rebels, it is important to understand that what not long ago was considered an irregular conflict has transitioned into open warfare between Russia and Ukraine. Most of the fighting ended in a ceasefire when President Poroshenko — weakened by the West’s refusal to provide lethal equipment and the failure of the NATO summit to address the Kremlin threat in a fully comprehensive fashion — accepted Putin’s terms. This ceasefire is unlikely to hold, however, as Putin is feeling his oats. Not only did he ignore NATO warnings not to send regular troops into Ukraine, he undermined President Obama and NATO’s efforts to reassure its Eastern members by abducting an Estonian intelligence officer the day the summit ended. With his regular troops, Putin has expanded and reinforced his position in the Donbass and has approached the port city of Mariupol. There are credible reports that Russian agents are at work in Kharkiv, Ukraine’s second largest city, and Odessa. The evidence that President Putin has lost Ukraine in the most important senses has been around for months–Ukrainians want to be western even more now, eastern Ukrainians in majority terms continue to want this as well, Ukrainians elected a pro-western President, the EU trade deal is going forward, and Poroshenko is pushing for NATO membership with NATO not ruling this out–but crucially what was not in place until recent days is credible conventional deterrence against additional territorial annexation by Russia. 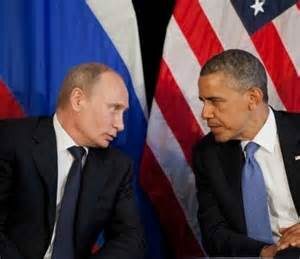 In an even more substantial indication of Putin disastrously overplaying what not long ago was a pretty good hand, Russia’s invasion/annexation of Ukraine was all NATO needed to renew and reinvigorate itself in addition to successfully reassuring eastern European allies and deterring Russia from serious intervention in them. 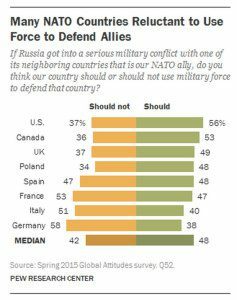 NATO is stronger and more vigorous than it was even 6 months ago, and Sweden and Finland are likely to join its ranks in the near future. Friday Nerd Blogging: NATO Week! When I arrived as an incoming graduate student at Ohio State University, I was labeled a realist since I studied extensively under John J. Mearsheimer at the University of Chicago. And despite the fact that I find such labeling exercises rather silly (plus, my advisor at both Chicago and OSU was actually Alex Wendt), there was, and still is, some truth to it. Power does matter in international politics and contrary to many others in our field I think that Mearsheimer’s theory of great power politics does make a lot of sense, and it explains large swaths of international politics throughout history. I was going to post about my talk in Toronto on NATO , but now I have a slightly different NATO post to write: a response to this piece by Anne Applebaum proposing that Obama magically fix NATO. Given that the title of my talk was “The Present and Future of NATO: More of the Same,” it is inevitable that I would be a skeptic of Applebaum’s piece. If only present day global competition were confined to the World Cup. But while eyes have turned back to a new crisis in Iraq—something I’m not exactly proud of predicting here—at least there has been progress on the Ukraine crisis, which has gone from boil to simmer in recent weeks. At this stage it has become clear that Russia has blinked, and thus will not be swallowing eastern Ukraine whole. Just as important, we now have clear as day evidence that President Putin’s gambit has failed: Ukraine has not only signed the EU trade agreement that former President Yanukovych walked away from—sparking the crisis in the first place—newly elected President Petro Poroshenko formally asked the EU to open membership negotiations with his government. In other words Msr. Putin may have purloined Crimea, but he has lost Ukraine proper. Strategically speaking, it matters less that the EU is no longer as rosy about bringing Ukraine fully into its membership fold. After all, previously doing so was one of the major causes of the now receding crisis. It is more important that the EU signed precisely the same trade deal, with the very ink pen that Yanukovych would have used had he gone through with it last year. More important still is the fact that Ukraine continues to tilt west not east, and in landslide public opinion terms. Not only did Poroshenko achieve an electoral landslide, but there even remains a majority of citizens in eastern Ukraine that do not want to be part of Russia. But the EU has also done something it previously had not: it threatened that a new round of much more punitive sanctions would be levied against Russia if it did not stop destabilizing eastern Ukraine by sending in mercenaries, ammunition, and major military equipment in continual violation of Ukraine’s porous border—this time with a deadline. Defying a host of predictions both in Europe and back in the U.S., German Chancellor Merkel has actually stepped up to begin providing forceful strategic leadership. The U.S. is also preparing a new more punitive round of sanctions. And Putin has foresworn any direct use of force after—blink—pulling the 40,000 Russian troops back from the border. 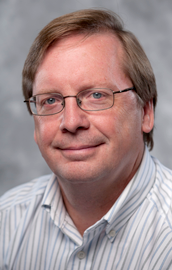 Editor’s note: this is a guest post by Anna O. Pechenkina, Post-Doctoral Fellow, Dept of Social and Decision Sciences, Carnegie Mellon University. It is primarily a response to an essay Branislav Slantchev recently posted on his personal website. Branislav Slantchev advocates for NATO troops to be stationed in Eastern Ukraine to preserve western strategic interests in the region. 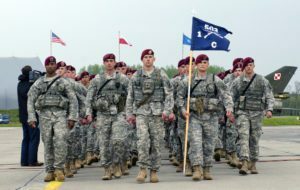 The logic is that if NATO troops establish a “tripwire” in Ukraine, Russia will face a choice of whether to attack western troops and will (most likely) back down. While this describes the world in which I personally would like to live (full disclosure: having grown up in the region, I hope for its western integration), I suggest the West would not want to risk a war with Russia to preserve Ukraine’s current territory because in the long run, secession of Ukraine’s Eastern provinces will be damaging to Russian, not Western, interests.